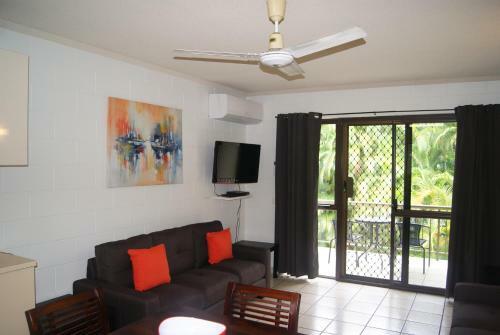 If you are finding that the Trinity Beach holiday houses listed on this website are not available, you may wish to visit Cairns Vacation Rentals to view vacation rentals at other beaches. We understand though, that you may still wish to stay at beautiful Trinity Beach so for your convenience this page lists other Trinity Beach accommodation (apartments and resorts at the beachfront or near the beachfront). 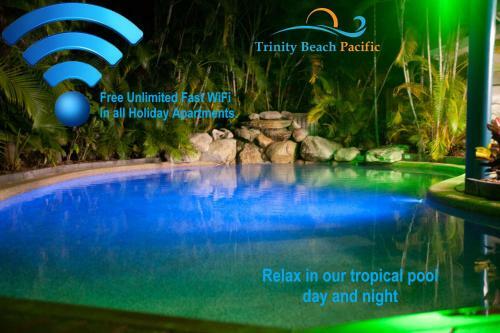 Just a few steps from Trinity Beach, Roydon Beachfront Apartments features free Wi-Fi, 2 outdoor pools and a spa pool. All apartments have their own private balcony or patio. The property offers free airport transfers. Click below to read reviews. 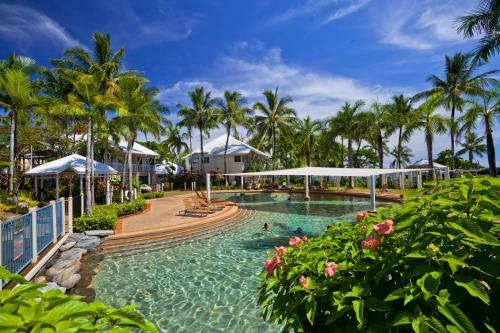 Luxurious 5-star water-front resort with direct beach access and a horizon pool just 15 minutes’ drive from Cairns International Airport. Click below to read reviews. 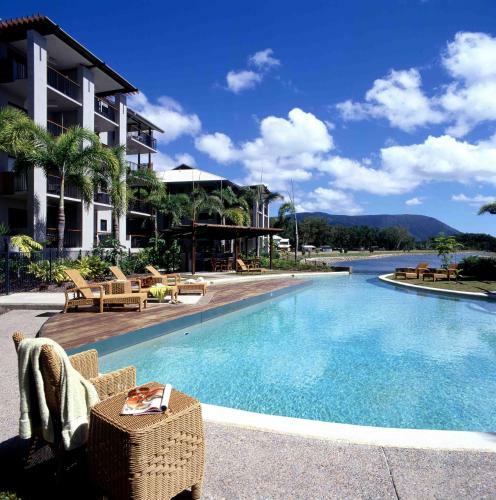 Sea Change Beachfront Apartments is situated on Trinity Beach, just 15 minutes north of Cairns. It offers luxurious 5-star apartments with breathtaking views of the Coral Sea from each private balcony. Guests enjoy free WiFi and free on-site parking. Click below to read reviews. 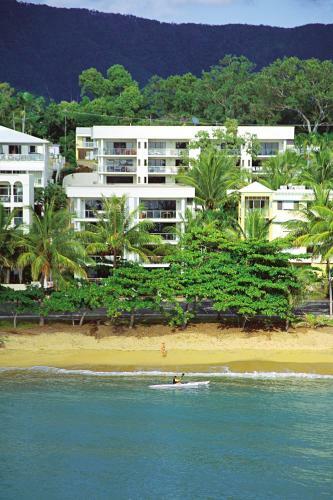 The Bellevue offers stunning 180-degrees views over the Coral Sea. An outdoor pool facing the ocean and en-suited stylish accommodation are some of the 5-star conveniences of this beach front resort. Click below to read reviews. Sea Point on Trinity Beach offers spacious modern apartments with free Wi-Fi and full kitchen and laundry facilities. Surrounded by tropical landscaped gardens, the complex features a large saltwater pool, a spa pool and barbecue facilities. Click below to read reviews. Boutique Beachfront offers self-catering accommodation just a few metres from the beach and 30 minutes drive from Cairns. It features an outdoor swimming pool, a hot tub and BBQ facilities. Click below to read reviews. 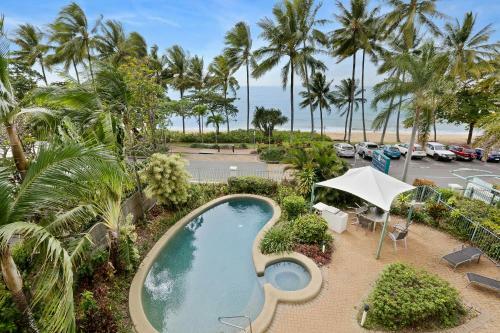 Offering direct beach access and a heated outdoor swimming pool, Meridien at Trinity is 30 minutes’ drive from Cairns. All spacious apartments feature a spa bath and a private balcony offering sea or beach views. Click below to read reviews. 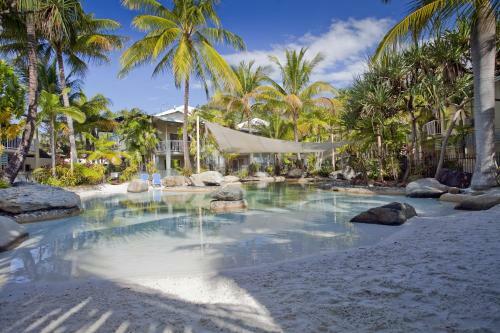 Costa Royale offers self-contained accommodation amongst tropical landscaped gardens on the shores of Trinity Beach. Every apartment is air-conditioned, with full kitchen and laundry facilities. Click below to read reviews. This beachfront resort offers clear ocean views of Trinity Beach. Amaroo’s spacious studios and suites have balconies overlooking the sea. Shopping, restaurants, and the sandy beaches are within walking distance. Click below to read reviews. 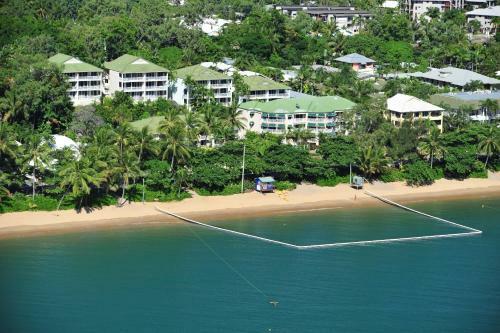 Located on the palm-fringed beach front of Coral Sands Resort Trinity Beach, you’ll find it hard to believe this serene location is just 15 minutes from Cairns City. Click below to read reviews. 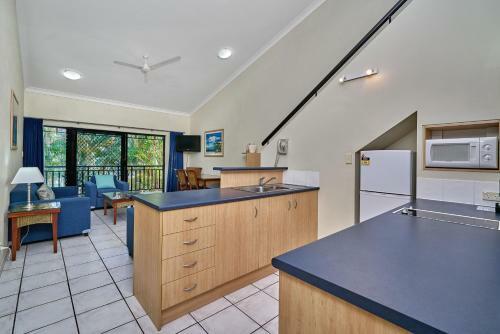 This Trinity Beach property is on the main esplanade and opposite the beach. Apartments feature free Wi-Fi, fully equipped kitchens, and garden, beach, and ocean views. Click below to read reviews. 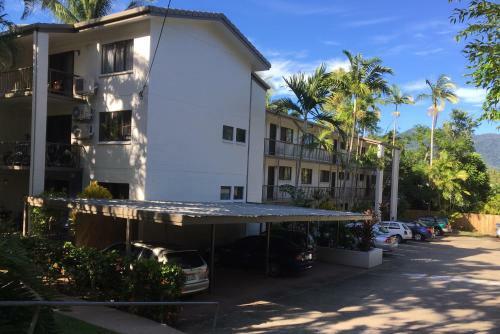 This 4-star resort offers free parking and is situated on the northern beaches of Cairns and is a few minute walk from Trinity Beach. It also close to the Great Barrier Reef. Marlin Cove Holiday Resort is on a 10 acre property. Click below to read reviews. The 4-star Trinity Beach Club Holiday Apartments are just 200 metres from Trinity Beach. Cairns city and Cairns International/Domestic Airport are a 20-minute drive away. Click below to read reviews. 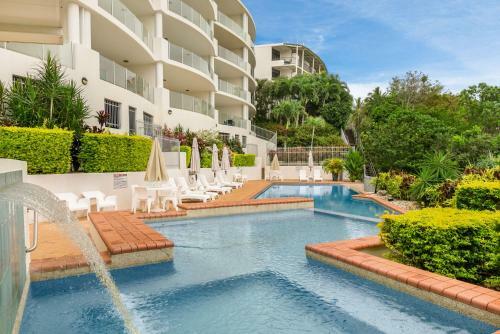 Boasting a saltwater swimming pool, a hot tub and a barbecue area with outdoor seating, Seaforth Apartments are just 10 minutes walk from Trinity Beach. A private balcony with pool or garden views is standard in all apartments. Click below to read reviews. In a prime location only 5 minutes walk from the beach, Trinity Beach Pacific offers holiday apartments with private balcony and cable TV. It also has an outdoor swimming pool. Click below to read reviews. A 2-minute walk from Trinity Beach, this palm-fringed resort offers accommodation with balconies overlooking rainforest mountains. It features 3 outdoor pools and a tennis court. Free WiFi is available in the lobby. Click below to read reviews. 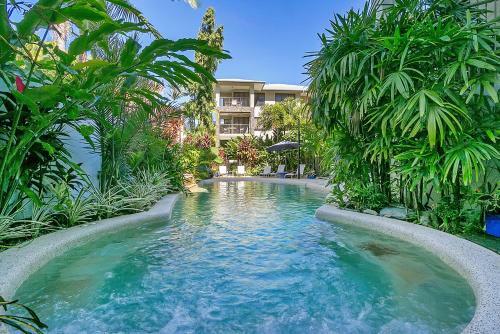 Just 300 metres from Trinity Beach, these self-contained apartments offer free undercover parking and scenic views of outdoor pool or tropical gardens. It is less than 5 minutes walk to the bus stop. Click below to read reviews. 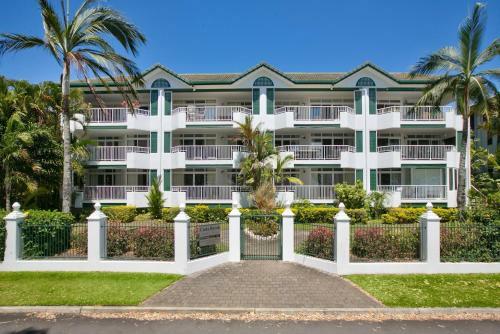 Golden Cane @ Castaways Trinity Beach is located just 75 metres from Vasey Esplanade and offers self-contained holiday apartments with free parking. It features 3 swimming pools with spas and a tropical garden. Click below to read reviews.